Superstar Floyd Mayweather is not the only boxer to have “beaten” Rocky Marciano’s famous 49-0 record and reached fifty straight pro fights without a loss. 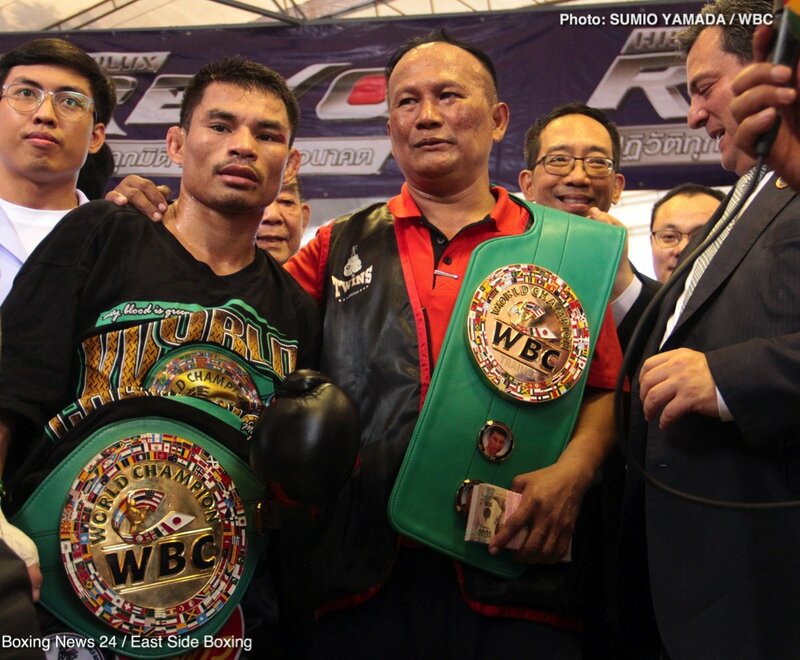 Yesterday in Thailand, WBC minimumweight champ Wanheng Menayothin crushed Panamanian challenger Leroy Estrada inside five one-sided rounds. 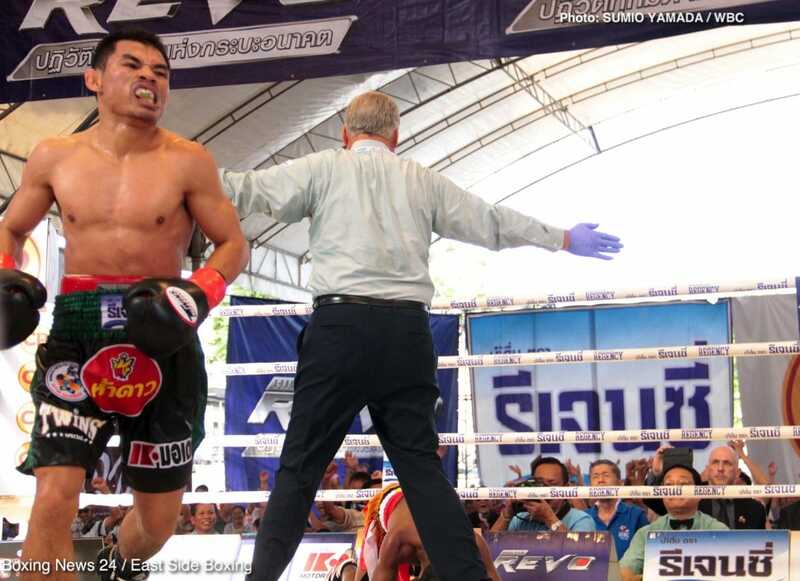 With the fifth-round stoppage win, “Dwarf Giant,” Menayothin earned the most impressive record of all current fighters (Mayweather currently inactive, unlikely to ever box again – perhaps “Money” will fight again but in MMA). 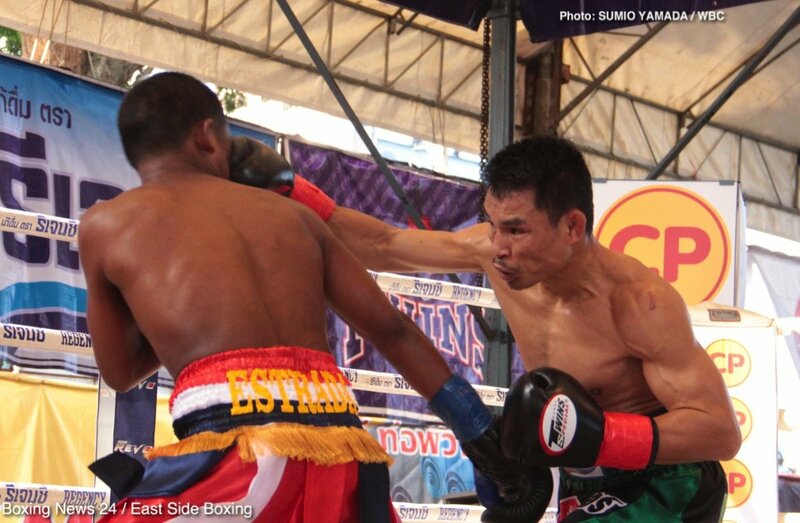 Challenger Estrada came out fast against the defending champion and he did manage to inflict a cut over Menayothin’s eye, but soon the difference in punching power told the story. 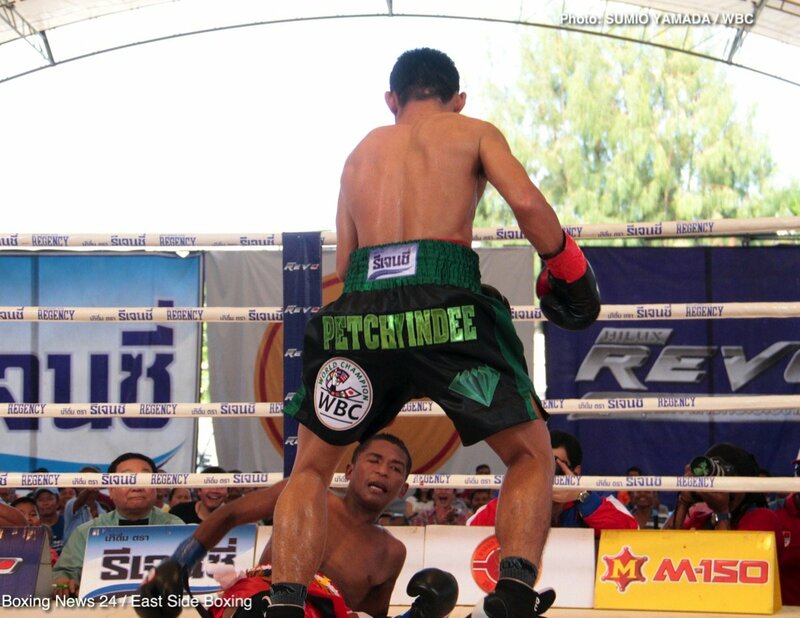 Menayothin dropped his man twice in the third-round, again in the fourth, before getting the historic victory in round-five when referee Jay Nady waved the fight off after yet another knockdown, having seen enough. Menayothin is now 50-0 with 18 of his wins coming inside the distance. Last night’s fight was the 32 year old’s eighth world title defence. Estrada falls to 16-3(6). 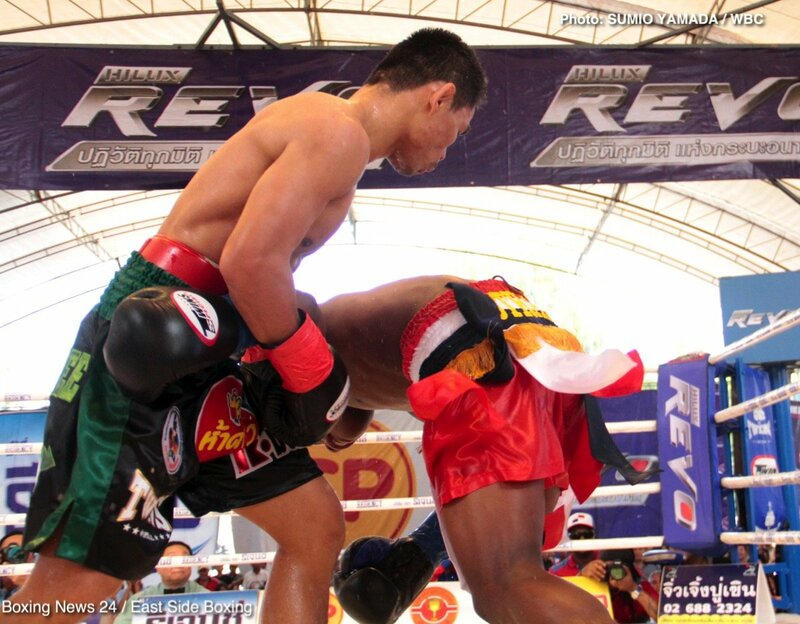 Menayothin spoke of how pleased he is to have equalled Mayweather’s record. “I thought it would be tougher,” a victorious Menayothin said after the win. “He is young and fast, but he lost his guard early and I took the opportunity. It was easy from then on. I was never confident that I was winning as it was a 12-round fight. Now I’m happy that I have matched Mayweather’s record. Still, Menayothin has now made a name for himself far and wide outside of his home country and fans are curious to see how good he really is. And to see if he can reach 51-0 or perhaps even further.